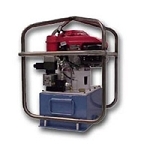 The Model 940 POWERIG® is a portable unit sized for moderate production and repair applications. This unit features rugged construction for durability in the field, and the choice of 115 or 220 Volt AC power. 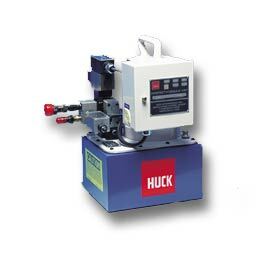 The Model 940 includes a handle for easy transport, simple adjustable hydraulic outputs and quick-connect couplers for connecting installation tool hoses.